Vermont Sen. Bernie Sanders didn’t respond well to questioning on his NRA-leaning votes on gun-control legislation. 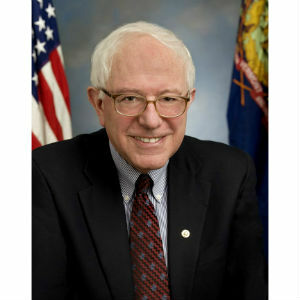 Pressed by Hillary Clinton on his five votes against the Brady bill and his vote in favor of legislation giving gun dealers and manufacturers immunity from lawsuits, the self-styled socialist sounded like anything but. “As a senator from a rural state, what I can tell Secretary Clinton, that all the shouting in the world is not going to do what I would hope all of us want,” Sanders, coincidentally, shouted. Later, in response to former Maryland Gov. Martin O’Malley, who hit harder on the immunity legislation, Sanders doubled down. “We can raise our voices, but I come from a rural state, and the views on gun control in rural states are different than in urban states, whether we like it or not,” Sanders said. O’Malley, who shephered meaningful gun control legislation through the Maryland statehouse during his time as governor, got the better of Sanders in the counterpoint.